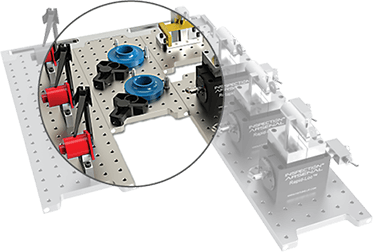 The 720mm Docking Rail fits most mid-sized CMMs. 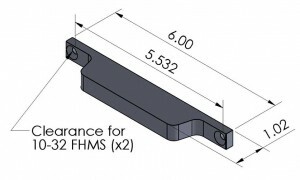 For larger and gantry-style CMMs add more than one rail and a variety of fixture plates. Use to create multiple fast-swap setups per CMM! All Loc-N-Load™ fixture plates, rails, and clamps are designed to be built like puzzle pieces in a magnetically interlocking style. The 138-pc Work Holding Kit provides everything you need to inspect virtually any part. 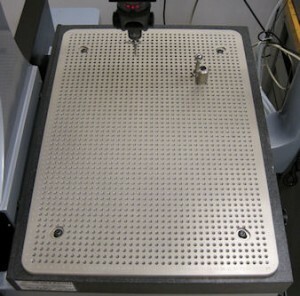 Add one kit per CMM to create redundancy in your Quality Department. They can be purchased as needed and shipped same day! Plus TR-KIT-01M, 138+ pc. WORKS Kit -Metric. The WORKS Kit includes: (4 ea.) Cross-Bow™ and D-Block clamps; (2) Trigger-Block™ clamps, (2) Trigger-Finger™ hold-downs with (4) 3” steel shafts, (4 ea. ) 1, 2, and 3” Silver-Bullet™ stand-offs, (7) Simple-Stop™ rails and stops; (2) Spring-Loc™ clamps; (2) Sliding Stop™ stops; (2) Hole Adjusters; (2) V-Blocks; (37) Stand-off & Rest Pad set; (16) Enhanced Stand-Off Set; plus hex key, thumb and button-head screws.